After fashion week in Berlin my Stan Smiths (which I wore 24/7 over there) looked horrible so I knew some wet towel wouldn't do the trick this time. That's why I gave them the full cleansing and caring treatment. 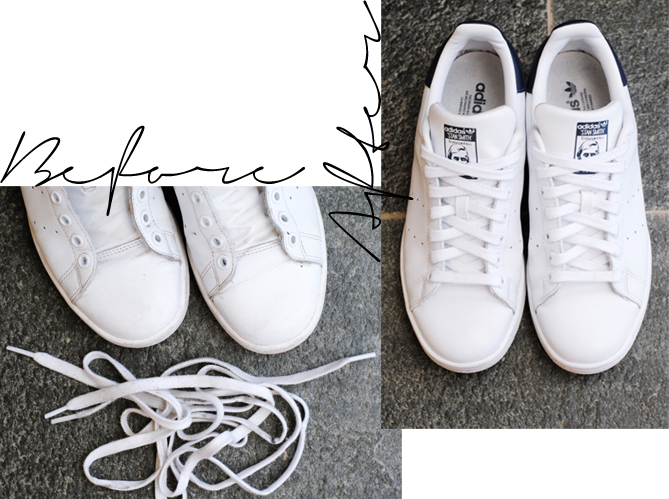 If you are still unsure about how to get your white kicks clean then this post is for you! Take of the shoelaces and put them in the washing machine. Maybe take a photo before so you'll be able to tie in the laces properly afterwards. If you sneakers are made of canvas you can put them in the machine as well and you'll be done with the cleansing. 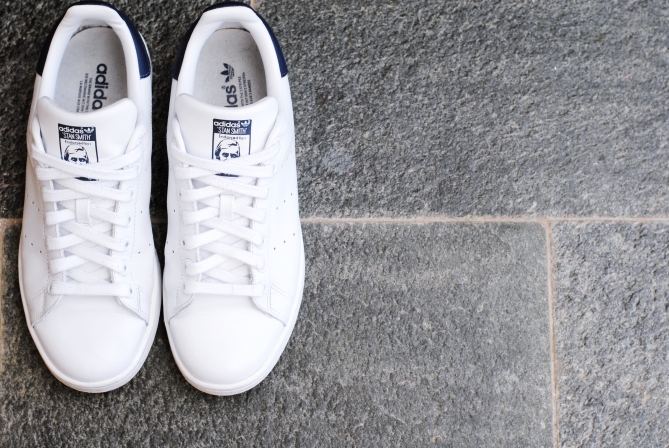 If your sneakers are made of leather take a wet cloth and wipe down as much dust and dirt as possible. 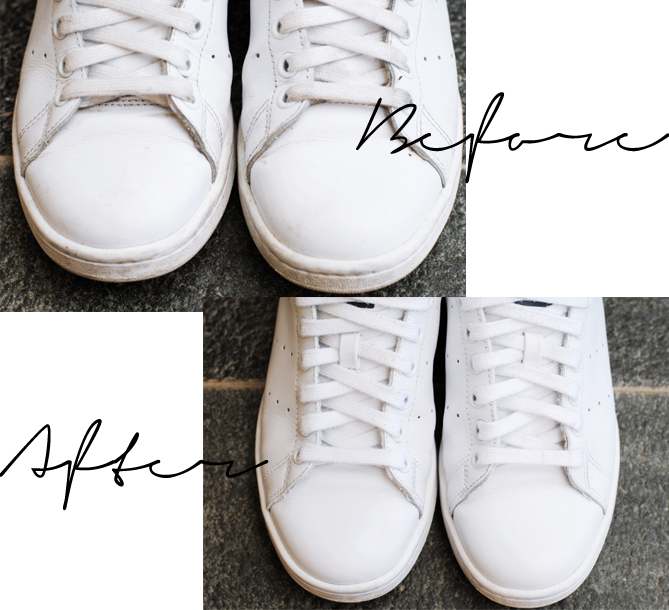 With an old toothbrush and a soft detergent (best use one that is gentle to the skin) start scrubbing your entire kicks, also giving particular attention to the rubber soles. If the soles don't get entirely clean you can try a special shoe eraser or 'Magic Eraser'. If you shoes are dry apply a thin layer of white shoe polish with a soft cloth. If the sneakers have coloured details make sure to avoid them or use a neutral shoe polish. White polish stains can however easily be erased with a wet cloth. After 10 minutes take another clean soft cloth and buff until your sneakers are all shiny agin. Use some rain and stain protection spray to keep your sneakers from getting dirty again too quickly. Keep the spray 20 cm away from your shoes while applying it. After 10 minutes apply another layer. Tie in the shoelaces and wear your new-looking kicks. Do you have any other shoe cleansing hacks to share with us?